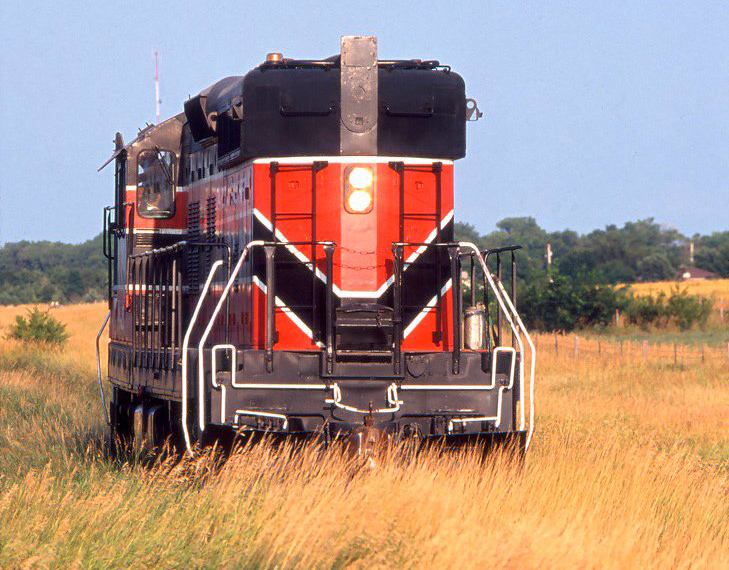 Perhaps the Milwaukee Road's most widely regarded non-Hiawatha train was the Pioneer Limited. 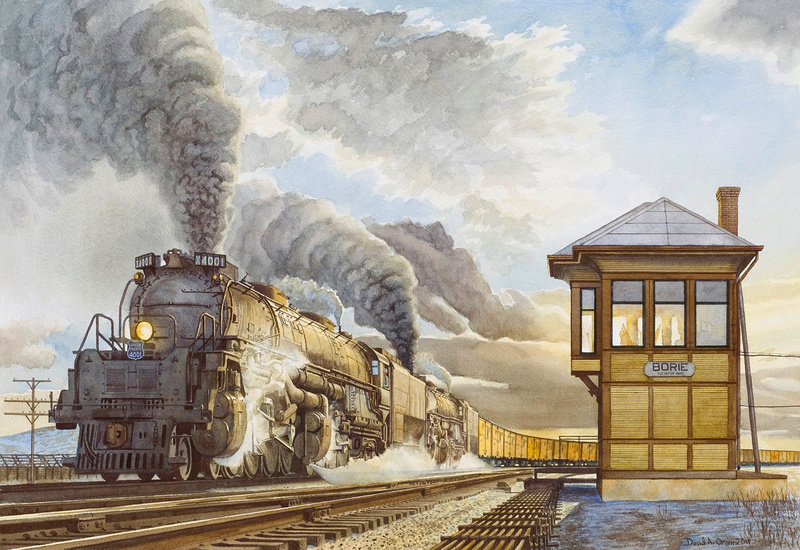 When launched in the late 19th century it was the first named consist serving the busy Chicago-Twin Cities corridor and for many years its popularity necessitated the need for two sections, a practice that continued until around the time of the Great Depression. 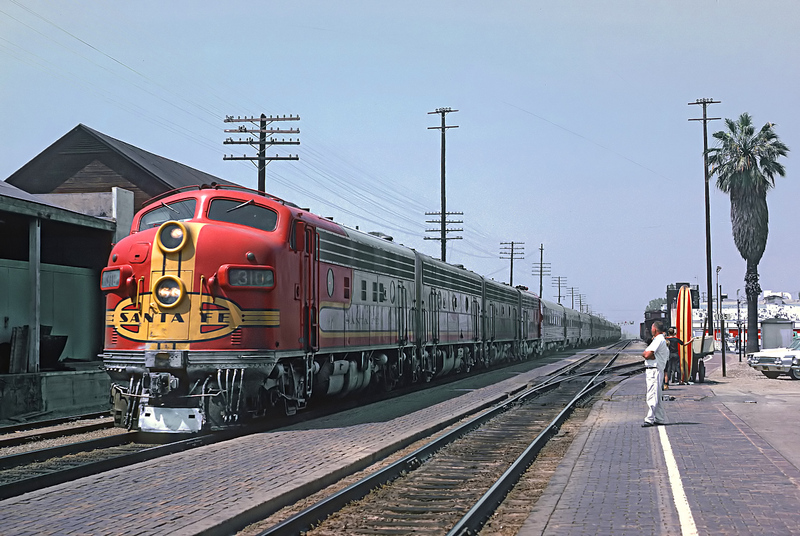 The status of the train can be seen in how it was treated by the railroad even after it was bumped from its flagship status by the new Hiawatha streamliners, receiving diesels early and hand-me-down lightweight cars (eventually receiving its own new cars). 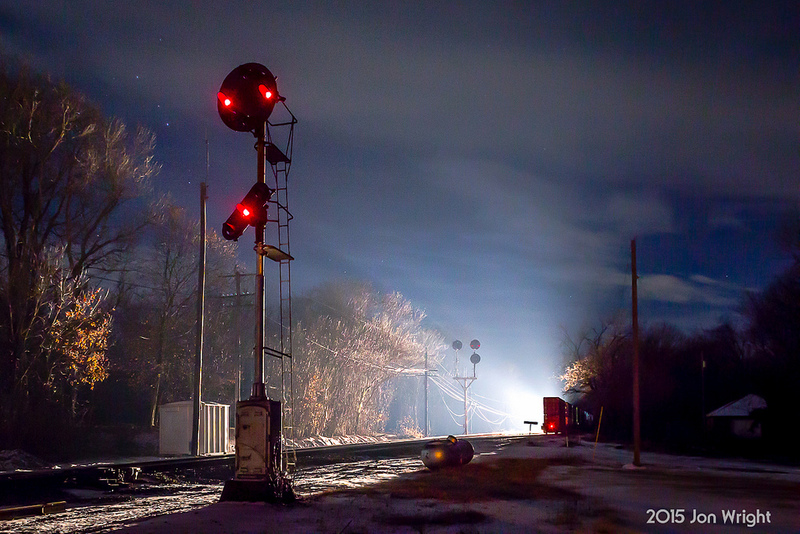 The Pioneer remained on the timetable for decades as one one of the Milwaukee's longest running trains making its final departure about eight months before the start of Amtrak. 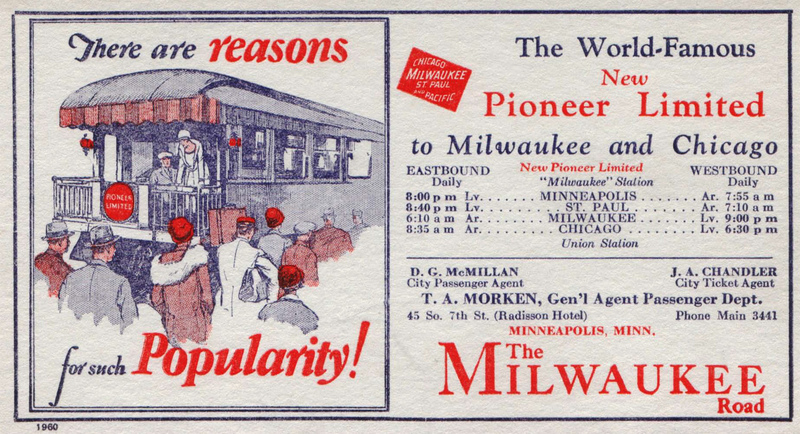 The Pioneer Limited first appeared on the Milwaukee Road's (then known as the Chicago, Milwaukee & St. Paul) timetable during May of 1898 listed as train #1, westbound, and #4, eastbound. 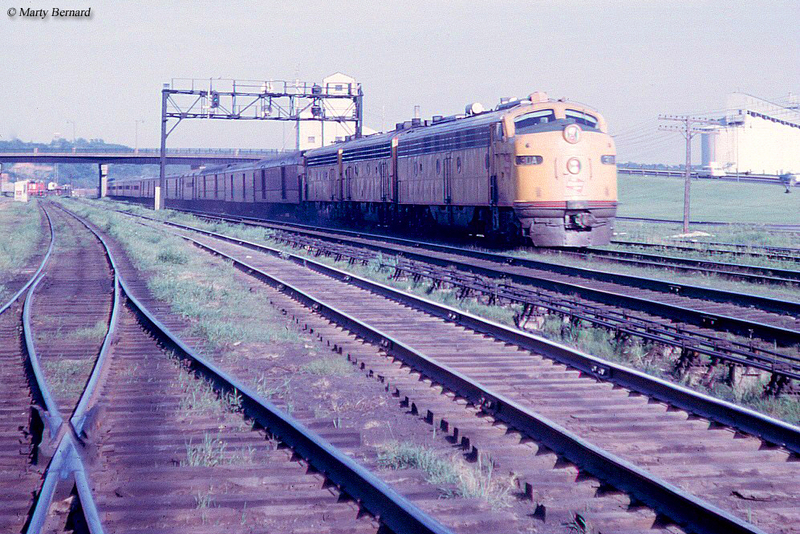 Of course, the Chicago to Twin Cities corridor had long been served prior to that time but without a name. During this early era the Pioneer boasted "solid vestibule" status, sleepers, diners, reclining seat coaches (later dropped in favor of standard seats for added sleeping accommodations) and a buffet-smoker. 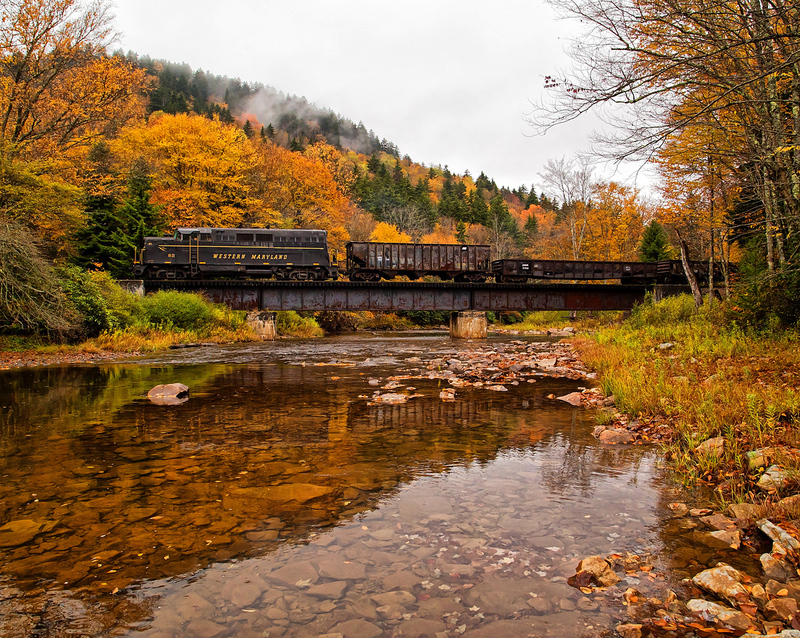 From the turn of the 20th century until the railroad took delivery of its last new cars in 1950 the train continued receiving occasional improvements and upgrades. 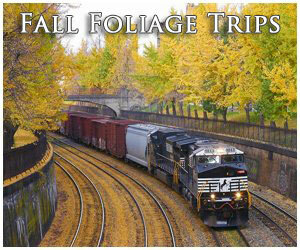 These began with new Pullman sleepers in the early 1900s and followed with all-steel cars by the World War I era. It became popular with business travelers hustling between the two cities and, due to demand, regularly ran in two sections. 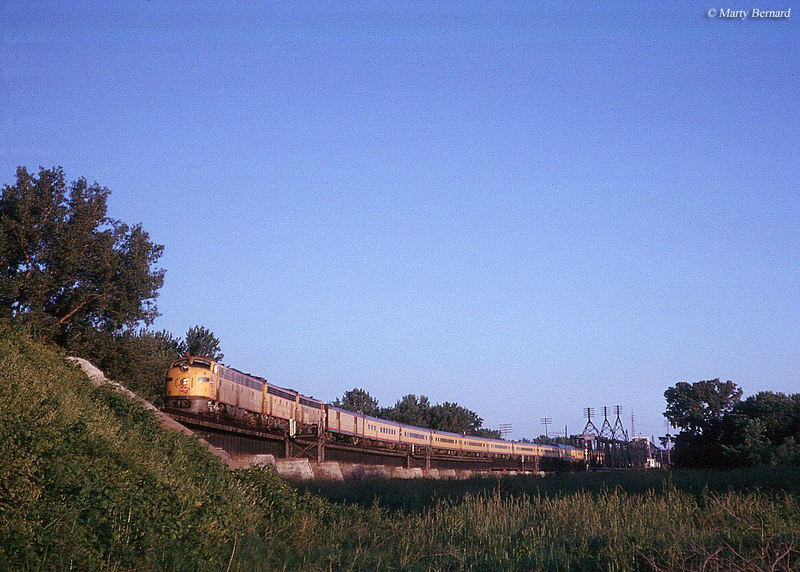 According to Jim Scribbins' book, "Milwaukee Road Remembered," the Pioneer Limited was the only train to operate in this manner west of Chicago. 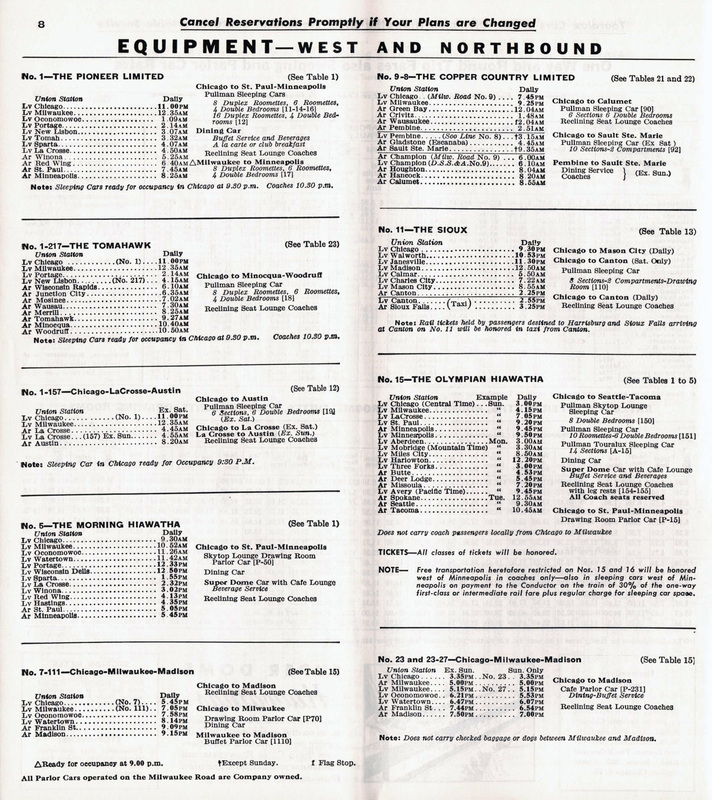 The 1920s saw two notable improvements; first was a reduction in operating times by 90 minutes and later more new equipment arrived in the form of Pullman sleeper-lounge-observations during May of 1927. 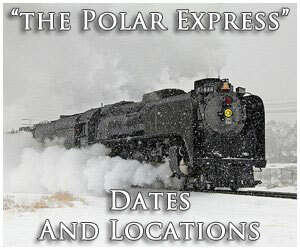 To complement this the railroad rebuilt club cars and diners at its famous shops in Milwaukee offering the first type of electric refrigeration ever employed on a train in the United States. 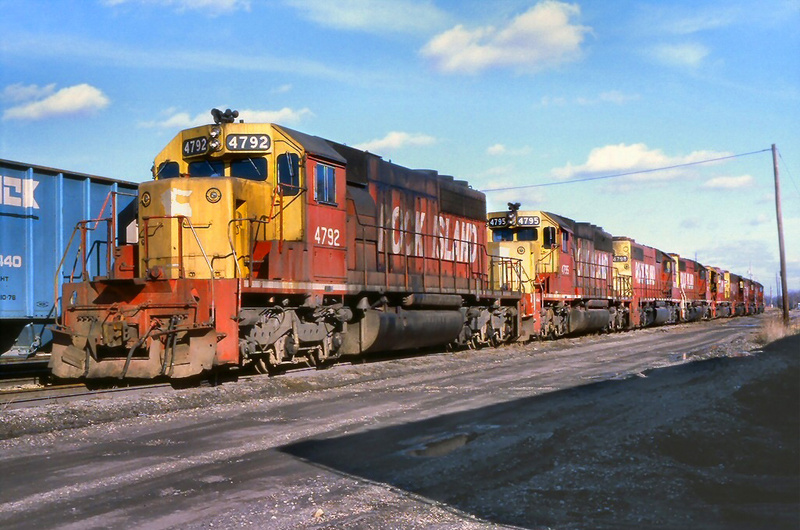 There was also improvements to ride quality through the addition of Timken roller bearings on all axles, which also improved safety by eliminating hot boxes. Much of the work was done by noted Milwaukee mechanical engineer Karl Nystrom, who among his vast array of accomplishments designed many of the railroad's home-built cars (he also went on to become the company's chief mechanical officer). 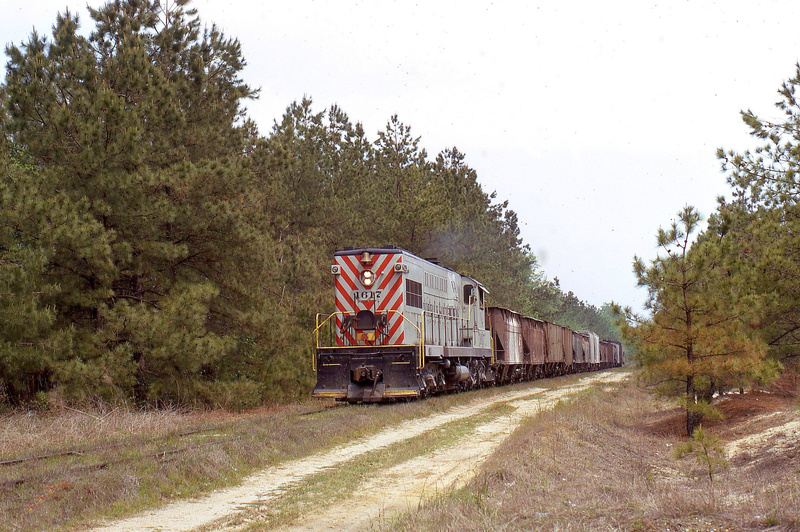 Despite the onset of the Great Depression improvements continued for the Pioneer Limited. In 1930 it received new power in the form of Class F-6 4-6-4s which began replacing 4-6-2 Pacifics. 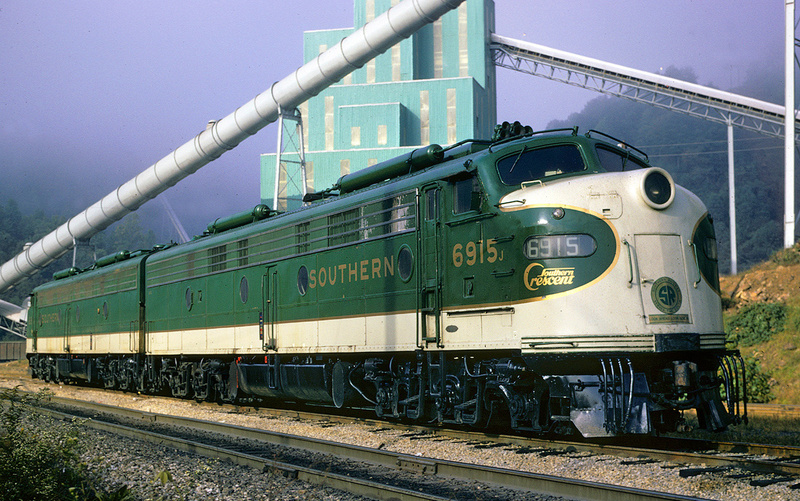 These fast, powerful Hudsons were more than capable of pulling a consist large enough to eliminate the need of two-section running. 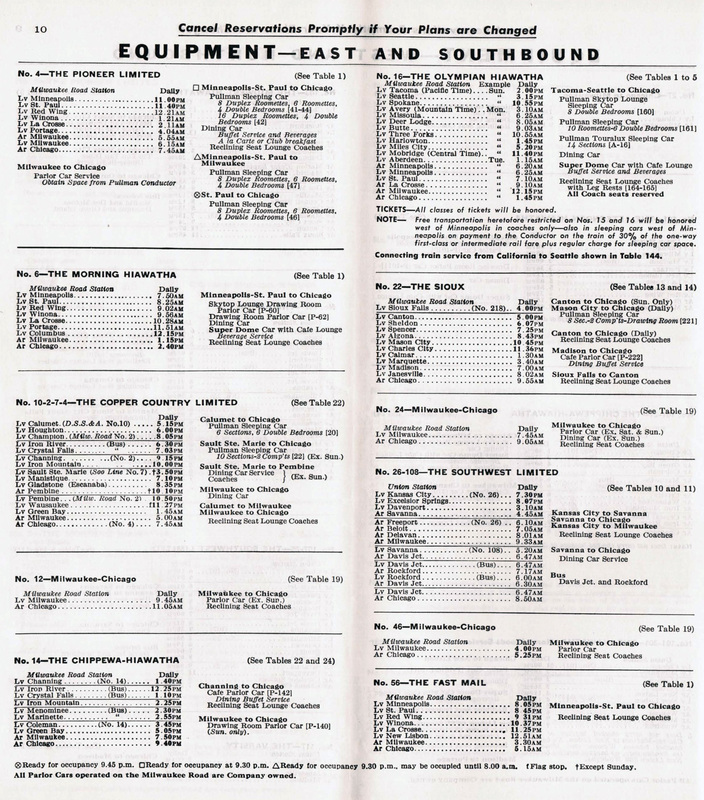 When the Milwaukee kicked off its sleek and fast Hiawatha streamliners in the spring of 1935 the Pioneer saw its schedule reduced by 1 1/4 hours; westbound train #1 would leave Chicago at 10:15 PM and arrive in Minneapolis by 8 AM the following day. 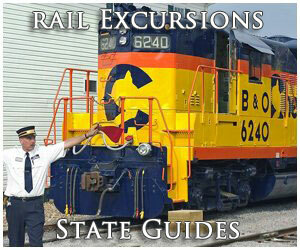 The train began receiving its first streamlined equipment during 1934 in the form of coaches, also built at Milwaukee's shops, but otherwise largely maintained a heavyweight consist. However, as the Morning and Afternoon Hiawathas were upgraded with new lightweight consists the older cars were transferred to the Pioneer. During 1946 brand new Electro-Motive E7A streamlined diesels bumped the Hudsons from their duties although according to Mr. Scribbins' book steam was occasionally assigned to the train through the late 1940s. 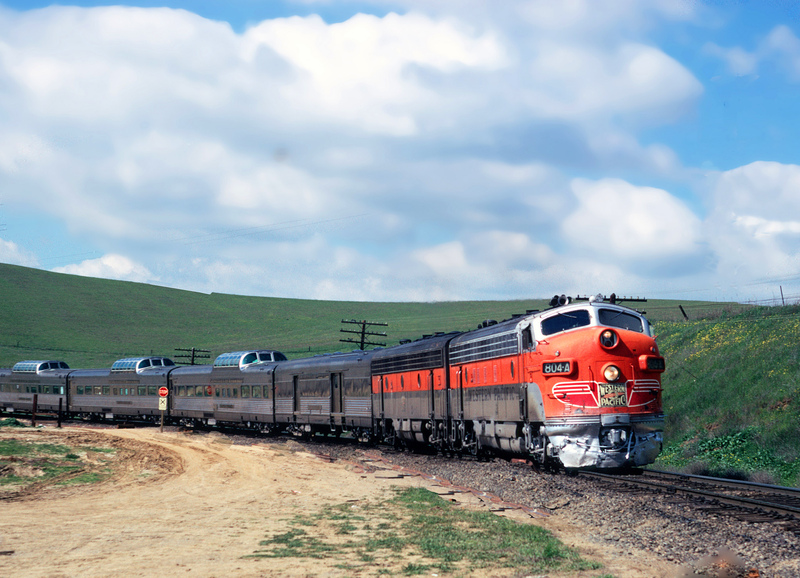 In 1948 the Pioneer received its first-ever new cars when it was assigned streamlined coaches, sleepers, a tap-diner, and baggage-dormitory. 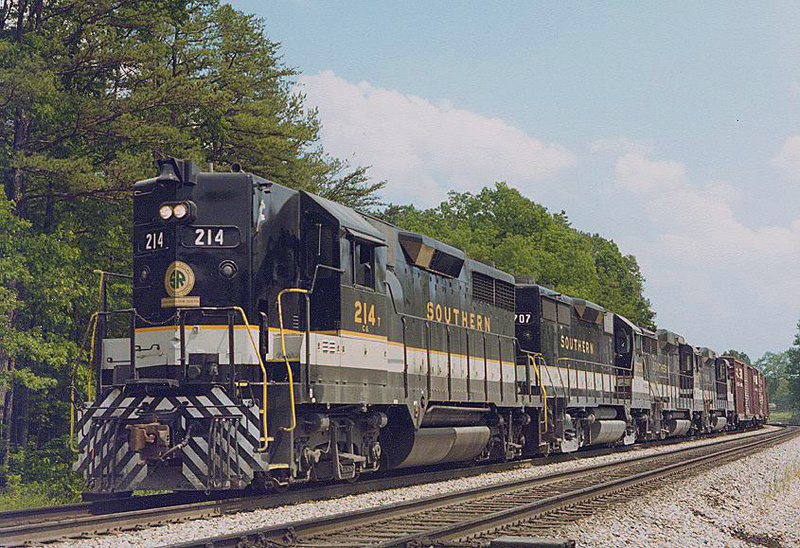 The sleepers were one of twenty-eight the railroad ordered from Pullman for both the Pioneer and transcontinental Olympian Hiawatha. 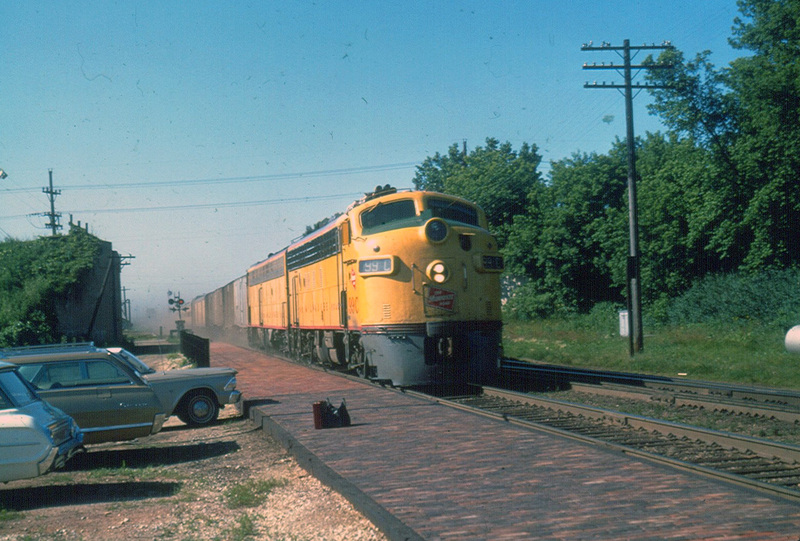 According to John Gruber and Brian Solomon's book, "The Milwaukee Road's Hiawathas," the railroad spent some $16 million on 215 new cars after the war in the hopes that such a move would sustain strong ridership experienced during the conflict. It released a statement in 1950 stating, "As we begin our second century of service as one of America's major industrial institutions our first concern should be to maintain and improve the service offered our patrons." 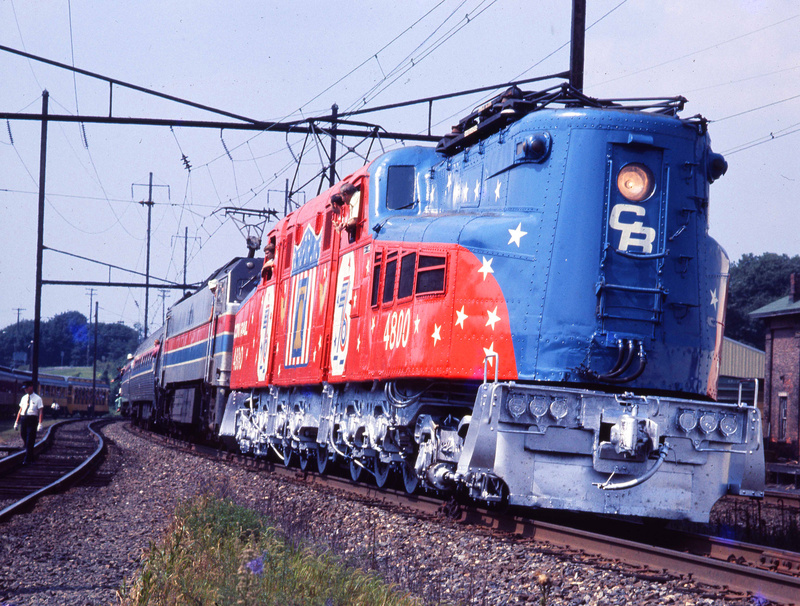 Of course, such hopes did not materialize but the Milwaukee continued providing top-level passenger service until Amtrak took over intercity service during the spring of 1971. In its last years the Pioneer Limited provided a sleeper, coaches, and diner-lounge. 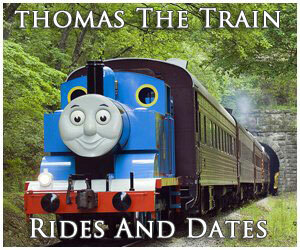 The train made its final run on September 7, 1970.